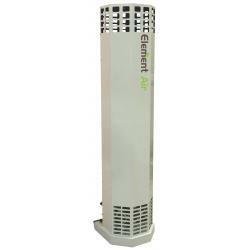 Element Air In-Duct Purifying units are 24 volt. 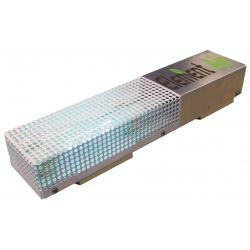 The 5 in unit operates up to 300 CFM, 9 in up to 1,625 CFM and 12 in up to 2,500 CFM. 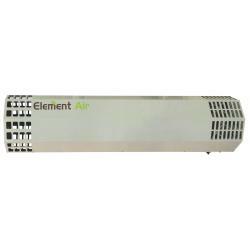 The patented Element Air treatment systems are the most practical and effective solution for airborne and surface microbial contaminants, including powdery mildew, total yeast and mold (TYM). 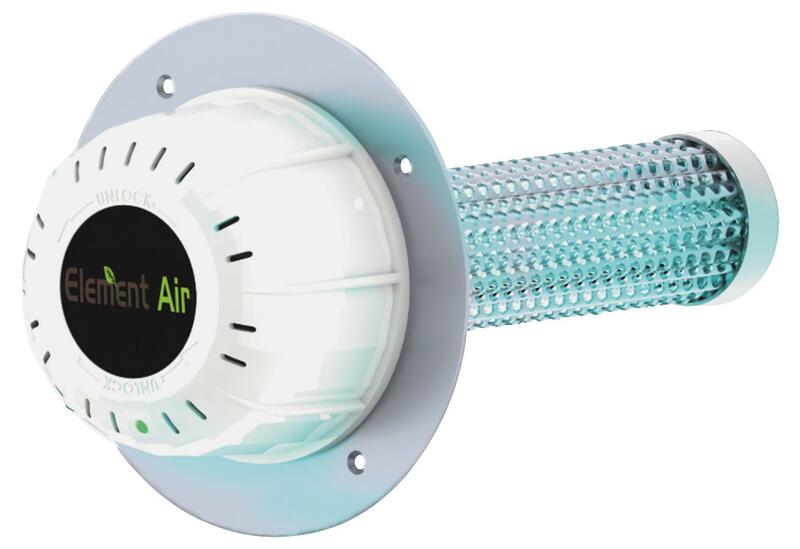 The In-Duct Purifiers easily mount onto your existing air conditioning and heating system air ducts. While the HVAC system is in operation it utilizes broad spectrum, high-intensity UV lights targeted on a hydrated quad-metallic catalyst which utilizes ambient moisture to generate hydro-peroxides and hydroxides that are propelled into the cultivation facility, to provide active microbial and order mitigation. 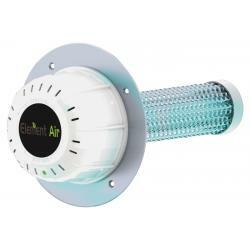 Element Air is an active purification system, purifying every square inch of air in the ducts and general growing spaces purifying pollutants at the source.